Books can make you travel places and that is one way it helps in breaking the monotony of life. Last few months things were quite busy at my end and I was hardly getting any time to read anything worthwhile. All the titles I had at hand were not looking very inviting and were pushed away with the ‘read later’ tag. And then I got a mail from the authors of this new book ‘Jason Cage’ for a review and as I read the blurb I was instantly interested. The authors of this book call themselves aKay Brothers – a pen name under which they are writing a series of books centering around the life of the protagonist named Jason Cage. The book review I am posting today is for the 1st book that has been published recently. What an interesting and exciting read this book has been! And now I can’t wait for the next book in the series. At first instance, I felt it was a crime thriller, but then there are elements of paranormal fantasy and also some sub plots in historical settings. The best thing about the book is the pace of the story – it builds up interest in the readers and gets them hooked. Even when the settings in the book change, the pace is maintained and that I believe is one of the hallmarks of a good writer. But, then there is something that needs to be worked upon. I came across a number of editing errors and spelling mistakes in the book that needs to be done away with to enhance the reader’s experience. A tighter editing is recommended for future books. 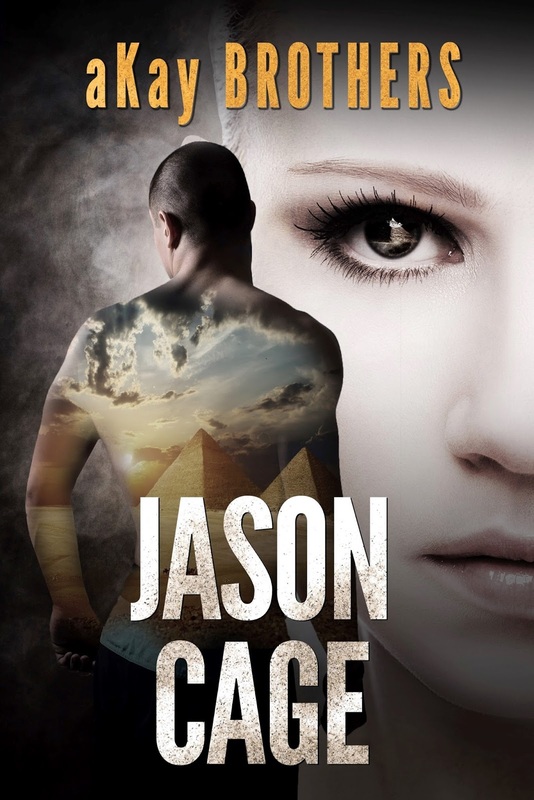 Jason Cage is a man with a mysterious birth and has a life that is far from normal. He is tormented by his dreams – they are the precursor of events that are about to happen in someone’s real life or in some cases have already happened. But one thing is common - his dreams bring bad tidings. After losing his parents to unnatural deaths and after a stint at a Medical school where he befriends Lisa and Bill, he finally seeks solace in a Buddhist Monastery in Ladakh. Jason knows that his stay there won’t last forever, so he tries to make the most of his time there by keeping a very low profile. But, little does he knows that his dreams will strike him again and he will not have an option but to follow them. Don – a peculiar creature resembling a lion is Jason's companion and has been by his side most of the time since his birth. The uncanny and peculiar thing about it is that it is visible only to Jason. The author takes us places through Jason’s dreams – sometimes to a time more than half a century ago where a doctor is trying to frame his friend as a blood sucking vampire and then to place where a man meets his death in the most mysterious circumstances after opening a parcel. There is again a sub plot with the settings in ancient Egypt where a man’s folly leads to the rising of the devil. Amidst all this, there is this dream where Jason sees that Lisa’s (who used be his crush in his college days) life is in danger. That’s when he decides it is time to venture out and save Lisa. But how is he going to do it? He has no idea where Lisa is and to top it, he has no money. How will Jason embark on his journey to save Lisa and will he be able to do it? Another plot running through the book is that of Dr Dhristi from RAW. After a successful mission of capturing LeT head (seriously that reminded me of the Akshay’s Kumar starter movie –Baby), she deploys her best man to get hold of Jason Cage. Why? That’s a question I am hoping would be covered in the next books. Just as is expected from books where the story is revealed in a series, there are too many unanswered questions in the first book of the Jason cage series. What has the Egyptian devil from centuries ago and RAW from the present times got to do with Jason? How all of these are going to converge to Jason is a thing to read in sequels as and when they get released. This is a book outside my frequently read genres and it was a welcome change for me. Anyone who is interested in crime thrillers or books on paranormal fantasy will surely find it a great read. If you want to know more about the book, you can visit the author’s website. www.akaybrothers. You can grab a copy of the book on Amazon too. I received a free r-copy of the book from the authors for an unbiased review.